Kalah Minix has designed and created a new pair of wireless earphones in the form of earnotz, which take the form of 3D printed earphones that provide a perfect fit offering both comfort and high quality sounds. Watch the promotional video below to learn more about the earnotz wireless earphones and their unique customised design. Each set of earphones is equipped with 6 high-end speakers made with US balanced armature technology designed for in-ear applications and are finely tuned for the best performance of A2DP, AAC and SBC sound. The development team behind earnotz explain a little more about their inspiration and creation. At earnotz our Tech Director was always complaining about his standard earphones : they were uncomfortable, always falling out, they don’t fit in the ears. Since we are 3D printing and modeling specialists, we decided to create earphones personalized for him. Many people have told us they have the same problem with their standard earphones. After a year and a half of research, working with audio engineers and hearing specialists, we created earnotz : earphones 3D printed to the exact dimension of your ears. You begin by printing the scale. You position the scale on your ear, this enables us to receive the exact dimensions of your ears. Then, guided by the earnotz mobile application, you capture both ears by photo or video using your smartphone. We convert the images into data that is read by our 3D professional printers. The conchus, which is your inner ear, is printed using bio-compatible material. The conchus is assembled with the personalized shell. The electronic equipment is inserted inside the shell. 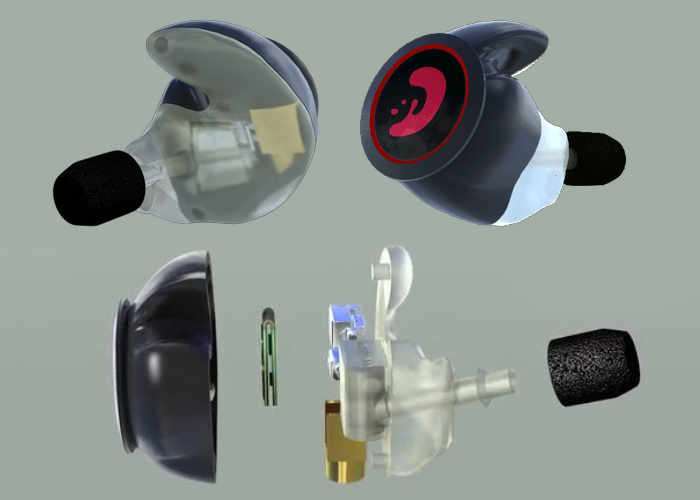 You can choose the design of your earnotz from our design library. The library being work in progress you will be asked to make your choice at the end of the campaign. If you choose to design your own shell, you must do so using your own software. (We do not provide drawing or software support). Then you choose between the 2D and the 3D template. We provide 2D template file in PNG format and 3D template file in OBJ format. For more details on full specifications jump over to the Kickstarter crowdfunding website via the link below where pledges are available from $263 offering a saving of $129 off the suggested retail price for earlybird backers.